For runners, the names don't get any bigger than Garmin, which successfully re-routed itself from car sat-navs to establish itself in fitness wearables. Now it's almost synonymous with running watches, and nobody knows Garmin watches better than Joe Heikes, a product manager who works primarily across the Forerunner watches. "As far as the Forerunners go," says Heikes, "I guess they're my children." 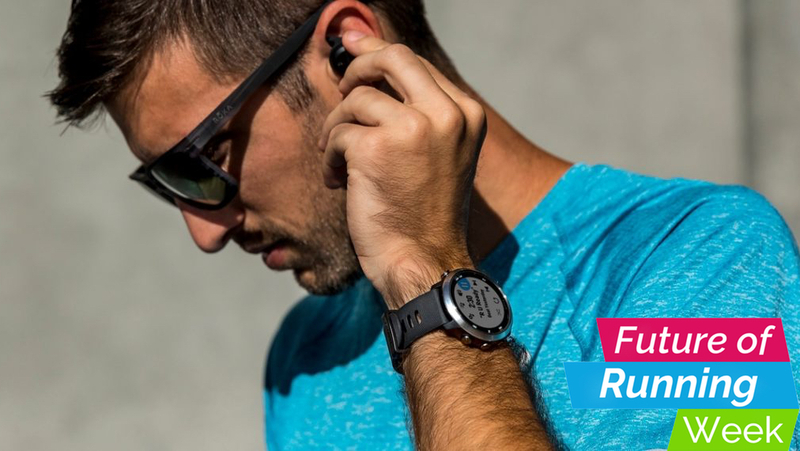 The most recent addition to that line is the Forerunner 645 Music, Garmin's first wearable to layer music streaming on top of a hefty suite of fitness mainstays. As Heikes is quick to point out, Garmin is not the first to do this. "But in my biased opinion, we have done it better," he adds, "certainly for a runner anyway." From the Fitbit Ionic to the Apple Watch Series 3 to the Polar M600, wearable companies have been offering this feature for a short time, allowing runners to leave their phones at home and still run to the beat. Heikes says the idea has been on Garmin's mind for many years, but technological reasons stopped the company turning any of its concepts into working, sellable devices. "We actually had devices, concepts of devices out there from years ago with this idea in mind," he tells us. "So this is not a brand new idea by any means. But to a certain degree there was a feeling about the time being right. "But honestly we tested the product, and I ran with it and used it, and I was really let down by the user experience. It was really hard to use simultaneously as a running watch and a music player, and I thought, 'Oh gosh, that is going to be hard to do well.'" A lot has changed since, better Bluetooth headphones being one of the key factors to unlocking us from our smartphones, and Garmin decided to strike with the Music 645. "I think we've done a good job of not letting the music experience interfere with the core running experience and vice versa – and still make it where the user can understand what they're doing," says Heikes. It's not a foregone conclusion that this will become a mainstay in all Garmin devices going forward, he tells us. "But is it safe to say we'll probably produce another one or other products with music in them? Yeah that's safe to say." When Garmin goes to the drawing board to design its next watch, Heikes describes the process as "organic", consisting of both focus groups and consulting members of the Garmin squad themselves. "We're very fortunate here at Garmin: the majority of people that work on our products are also our customers. It's just the way Garmin is built. We've got tons of people that are cyclists or runners." That means the company doesn't have to commission a lot of surveys. "We're already the target customer." And like Polar, it thinks about the broad spectrum of users, from the elite athletes to the fresh pavement pounders. "When I talk about our dedicated runners, it does not mean people that are in the Olympics," says Heikes "You can be 60 pounds overweight and run 12 minute miles but if you're out there and you're doing it, you're a runner. If you're lifting one foot off the ground and setting it down, you're a runner." Heikes isn't forthcoming about any new ideas or metrics Garmin is looking at right now, but he does say that coaching is one thing he's keeping his eye on. "I would say it's definitely something we're interested in. I wouldn't say how soon we'd be ready to launch features like that or do features like that in partnership with others, but for sure, it's something we've looked at and we are interested in." Coaching isn't something Garmin does right now, but there are some fitness companies, such as LifeBEAM, that are trying to build AI that can do on-the-spot guidance which feels human and dynamic. "We know there are a lot of people who want that additional guidance and would like to see more of that integrated into their wearable product, so it's definitely an opportunity for anybody in the business," says Heikes. "My personal opinion is that it's going to be tricky to do it well. I don't know if I've seen a great system for runners that does it in a warm and beautiful way. "For a ton of people it's quite good enough to have a book or buy a plan off the internet. I don't know that people necessarily need a personal coach in order to get the guidance they need to get to their goals. But I agree it's compelling if you can find that middle ground between a static plan and a personal coach – something that is maybe semi-artificial intelligence." Garmin might be top of its game in some respects, but it's losing out to rivals when it comes to sales, as Apple, Fitbit and Xioami have the combined majority stake in the global wearables market, helped by how these companies are rolling more and more fitness features into their devices. But despite higher sales volume, a lot of runners will tell you that they don't match the likes of Polar, Garmin and TomTom when it comes to 'serious' running. "I don't want to sound overconfident but I'm not that scared of the Apple Watch for our running customers," says Heikes. "I've used it myself, I've run with it, I've tried to train with it, it's just not the same." However he does concede that Apple's smartwatch has been good for the wider wearable market, and for Garmin too "in a sideways way". But for the dedicated runners, he doesn't see it as a threat. At least not yet. "I get it, There are people who use it, but I feel like our product is so much more superior for that particular niche. Obviously it's an intimidating product; it's a cool product with a neat design, it's got a lot of functionality. We're not foolish."